A selection of water proof or lightfast drawing inks. Widely used by designers, calligraphers and artists as well as illustrators. 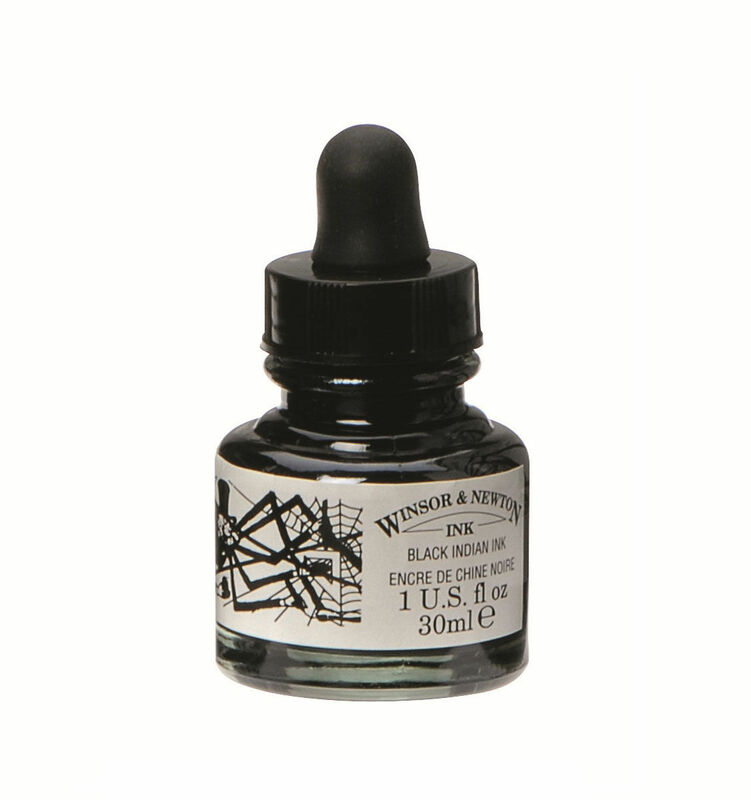 Winsor & Newton's Drawing Inks are formulated from a series of soluble dyes in a superior shellac solution and can be applied with brush, dip pen or airbrush. 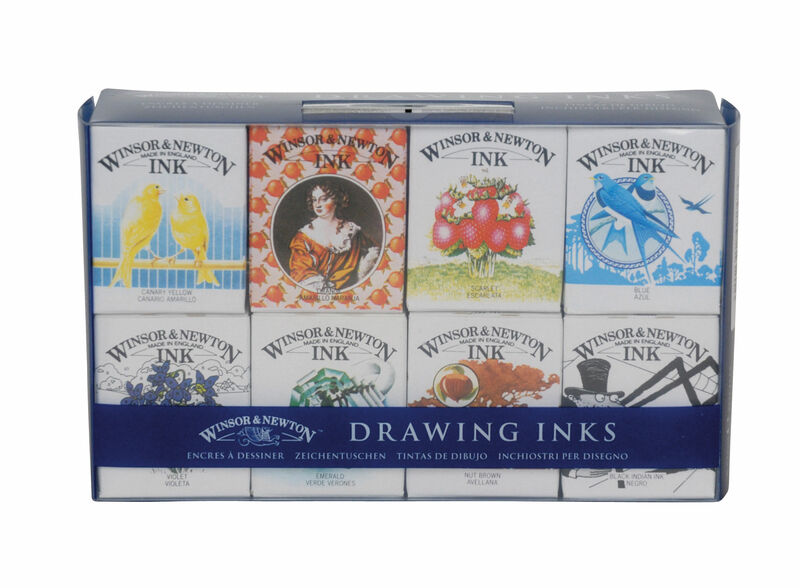 Winsor & Newton's Drawing Inks are water resistant, formulated from a series of soluble dyes in a superior shellac solution and can be applied with brush, dip pen or airbrush. 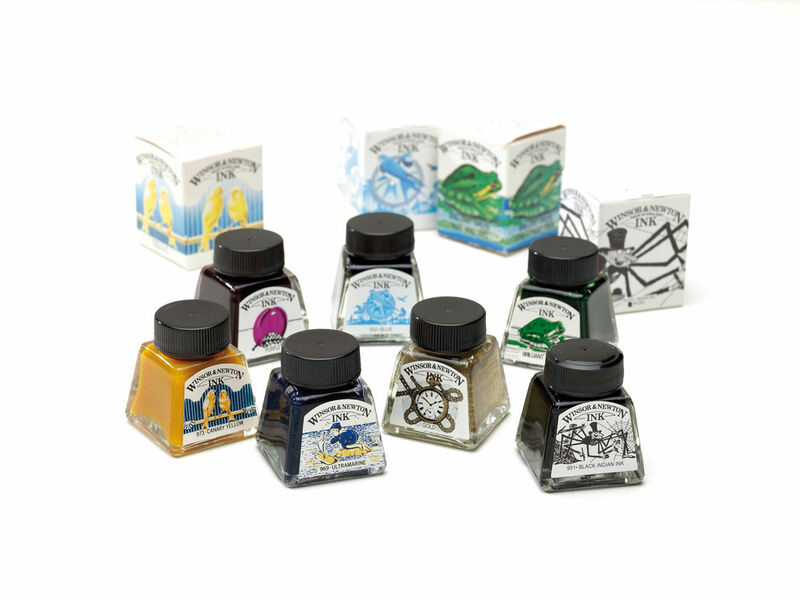 An introductory selection of 8 Winsor & Newton Drawing Ink colours in 14ml bottles.